Mutual funds are a collection of stocks, bonds, commodities that are actively managed by a fund/money manager. The goal of a mutual fund is to invest in a broad category of equities (based on the fund objective) to minimize risk and maximize reward. Mutual funds carry lesser risk than individual stocks. Pay close attention to the expenses. Ask for the total expenses on an annualized basis. As per SEBI rules, total expenses are capped at 2.5% for equity funds and 2.25% for debt funds. Read this for more info on SEBI regulations. Demand historic data on the mutual fund. Pay close attention to the asset allocation and the manager changes. If the manager or asset allocation of the fund has changed many times – walk away. Download the forms here and fill them up. A simple bank account is sufficient to buy the units. 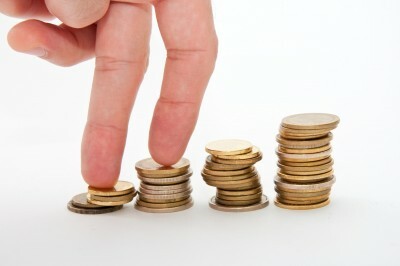 The profit earned gets credited to our account directly or through a cheque. If you have a demat account and an online trading account then it becomes very easy to buy and sell the mutual fund units as we don’t have to go through the cumbersome process of filling up the application form. The total expense ratio that an AMC can levy is capped by SEBI. For equity mutual fund it is currently at 2.5% and for debt funds it is 2.25% The TER is charged on an annual basis and is calculated as a ratio of the total costs incurred divided by the total assets under management. This is factored into the Net Asset Value of the fund. Apart from the operating expenses (expense ratios), some funds also charge fees for buying and selling the mutual funds. As a general rule of thumb you should avoid funds that have entry and exit loads. In any case, if you do end up buying the funds that have entry and exit loads, be sure to know what they are. Entry Load – Fees charged to the customer when he/she buys the fund. This fee is deducted from the invested amount at the source. e.g., if you invest Rs. 10000 and the entry load is 1% your invested amount will be Rs. 9900. Exit Load – Fees charged for redeeming your mutual fund investment. If the value of your investment is Rs.10,500 and the exit load is 2% you will receive Rs. 10.290. Contingent deferred sales charge (CDSC): A CDSC is levied for redeeming the mutual fund units. As per SEBI regulations, this charge decreases over time and can be levied only by no-load schemes, meaning a fund that does not have any entry or exit loads. The AMC cannot levy a CDSC of > 4% of the sale proceeds during the first four years after purchase, 3% in the second year, 2% in the third year and 1% in the fourth year. Trading expenses: Every fund unit bought and sold incurs trading expenses. When you invest in mutual funds you should pay close attention to the turnover ratio of the fund, this ratio is indicative of the total amount of buying and selling that occurred during a set period of time (usually a year). Lower the turnover ratio, lower the trading fees. Taxes: Short term (< 1 year) capital gains tax on equity based mutual funds (funds where > 65% of the share is allocated to equity) is 15%. There is no long term (> 1 year) capital gains tax on such funds. 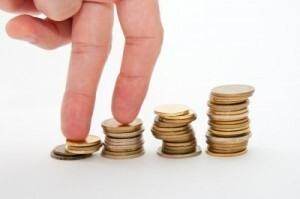 For debt based mutual funds, the short term capital gains are simply added to the investor’s income. Long term capital gains are taxed at 10% (without indexation) and 20% (with indexation). Remember that NO ONE (yes NO ONE, if someone says they can, run don’t walk) can predict where the market is going and hence is out of your control but these costs can be controlled. The only requirement for mutual fund investment is that the NRI needs to have an NRE, NRO or FCNR bank account. Investments from NRE and FCNR acccounts can be repatriated, while those from NRO cannot be repatirated. The easiest way of investing in mutual funds on an ongoing basis is to open an online account. For example, see the details for HDFC bank here. The process is straightforward. You need to submit some standard documents (passport copy, address proof, PAN etc. ), open an account with the bank (if you don’t already have one), fill out the application for the mutual fund account and linkage of your bank account with mutual fund account. If submitting your application via mail, the PAN card copy needs to be attested by the Indian consulate. Taxes: Tax implications for NRIs are the same as Indian residents. Additionally, the gains may be taxable in your country of residence as well.